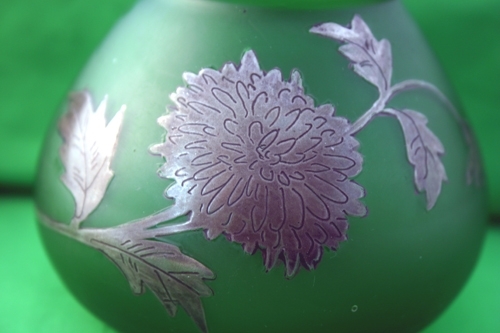 Beautiful green vase with silver overlay. A very reasonable price. 4" w x 3 1/2" h.